Concept work from designer Samy Halim. My heart skipped a beat thinking it was real, too bad it’s just a concept!!! 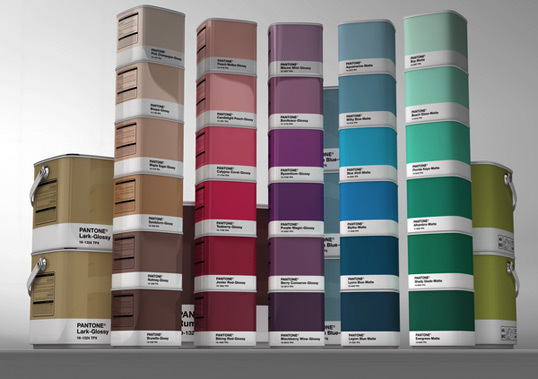 I wish I could have my favorite pantone color on my wall. sigh. 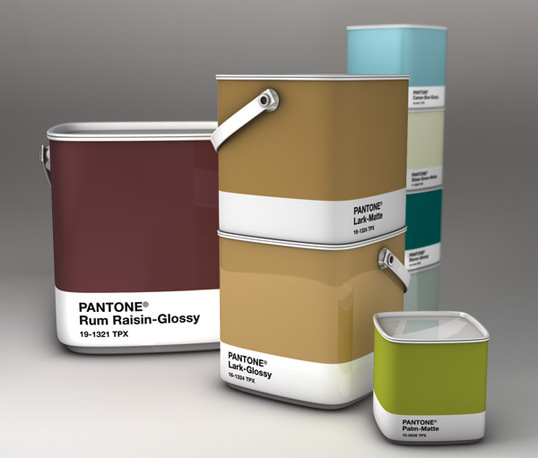 Thanks for showing us another great Pantone concept! I hope Pantone is watching and listening. 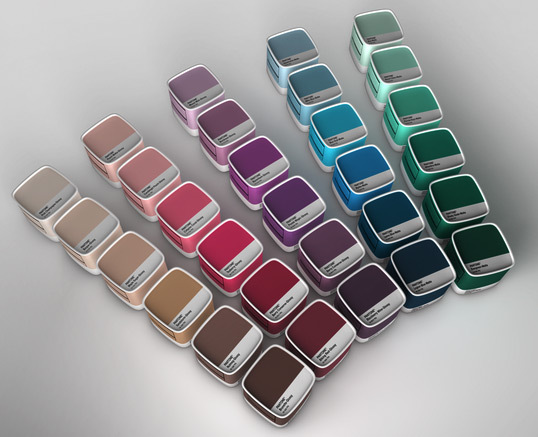 This was totally in my mind when I downloaded Pantone´s app for iPhone yesterday and used it as a reference for choosing paint for my new house. How cool wouldn´t this be! Love it, love it, love it! My hat off to you Mr. Samy Halim! That’s just Great!. I love how the buckets are more swatch like shapes and how they are stacked. Very cool. I don’t want to Mr Negative here but there is one problem. Paint is mostly solde in a few basic colors and the mixed to the exact right hue. 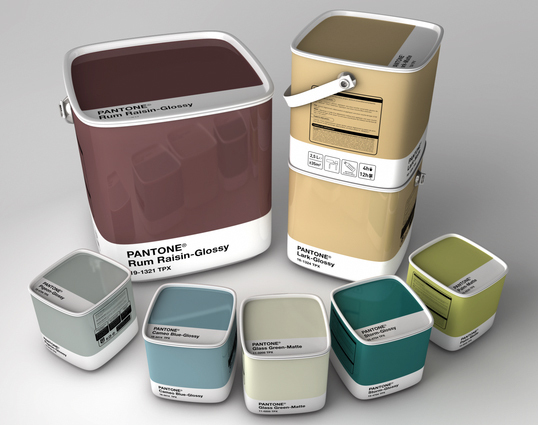 But for smaller sized paint buckets (there are 1/4 of a liter buckets that are pre mixed) it would be really cool. i submitted the idea to Pantone Europe, and i’m still waiting for their reply, i hope they realise for real too. Nice packaging concept, but as with a lot of other Pantone ‘concepts’ it’s just the colour swatch graphic applied to a pack. ^ Paul, this is a MUCH better presentation however. Et comme le souligne Paul Mosley, les peintures Pantones existent déjà. je te remercie de prendre d’écrire une petite bafouille pour critique ce travail, je te précise juste que je n’ignorais pas l’existance des peintures Pantone, sauf que leur design ne dit pas Pantone du tout, personnellement, je me suis amusé à réaliser ce concept, on aime ou on n’aime pas, c’est une autre affaire, je ne crois pas qu’il y est grand chose à comprendre, je pensais que les images parlaient d’elles-même !!! J’aurais aimé trouver ce genre de produits dans mon magasin dédié aux travaux de la maison. Juste un dernier mot, arrêtons d’intellectualiser et de justifier tout ce qu’on fait. Merci Jérôme d’avoir pris le temps encore une fois pour réagir à ce concept.